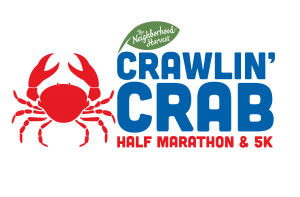 Pick up your race packet at The Crawlin’ Crab Half Marathon Weekend Sports and Fitness Expo on October 5-6, 2018. The Sports & Fitness Expo serves as the kickoff for an awesome running weekend. After you get your race packet, visit vendors from the health and fitness industry including running apparel and gear, nutritional products and injury prevention. Packet Mailing is available during registration. For a fee of $25, we can mail your packet to you during the last week of September. The packet mailing option closes September 17, 2018.